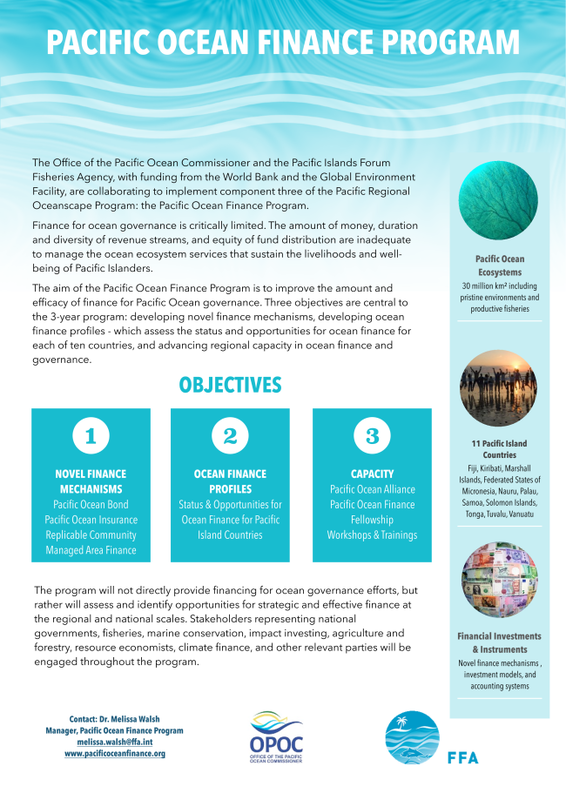 This is an advertisement for the Request for Expressions of Interest for the Development and Coordination of the Pacific Ocean Finance Fellowship. Requests for Expressions of Interest may be downloaded from the program website. Expressions of interest are due February 1st by 4pm Solomon Islands time. The REOI brochure is available here for download.